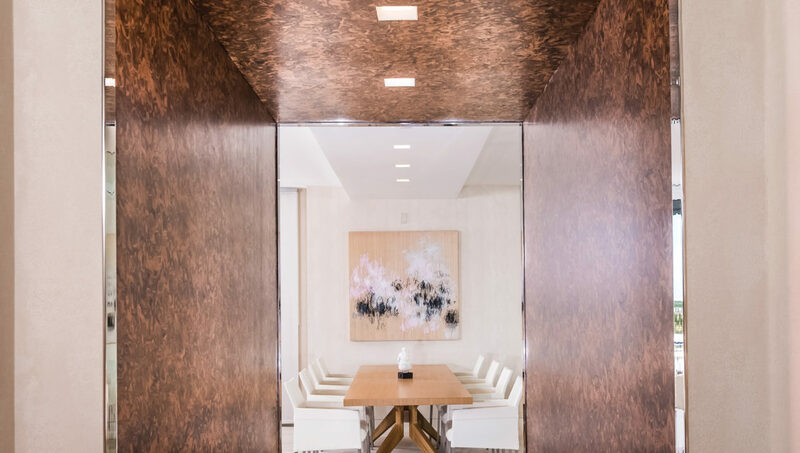 In a luxury condo building on S. Ocean Boulevard, Fradkin & McAlpin collaborated with Cynthia Witter Interiors to create a sleek contemporary penthouse with beautiful clean lines and warm natural finishes. The traditional plan was opened up so that the entry hall and kitchen create a seamless procession from the front door to the ocean views. Throughout the apartment, the design team used elegant natural materials to striking effect. 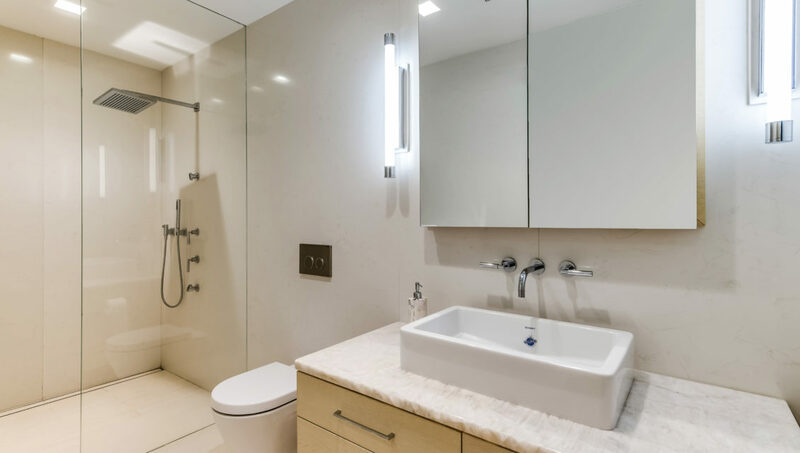 In the kitchen, bath and living areas, wood and stone grains are polished to smooth finishes. 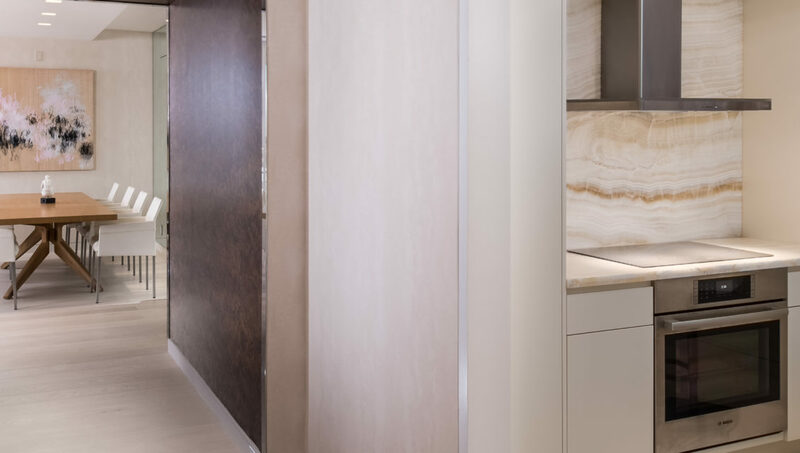 Subtle integrated lighting, custom built-ins, and a consistent and open design program give the penthouse a sense of understated luxury. Modern and bright, rich and warm, the simple elegant detailing and a rich palette of materials create an oasis of light and views. The complete interior renovation, which was fast-tracked to fit into the building’s limited construction season, was completed in just four months.